Home Art Entertainment News Nexxlegacy COPS and ROBBERS Sundays at THE MARSH in BERKELEY! COPS and ROBBERS Sundays at THE MARSH in BERKELEY! 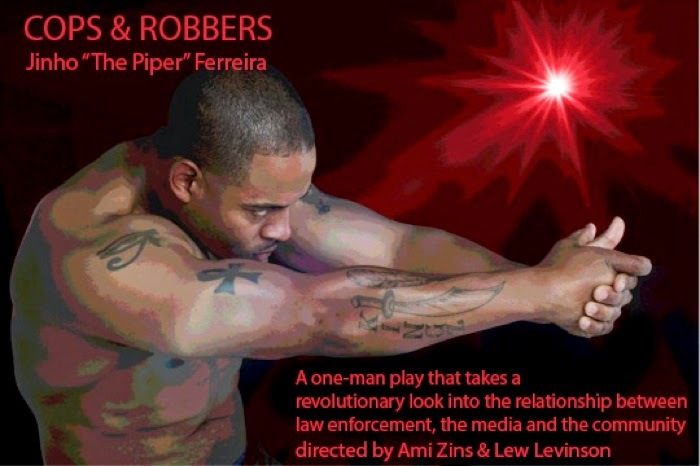 Centered on an officer involved shooting, writer/performer Jinho “The Piper” Ferreira takes the audience on an emotionally charged ride with unexpected twists and turns. The Piper seamlessly travels through 17 characters, each with their own convictions, logic, and prejudices. Cops and Robbers takes no prisoners as it challenges the viewer to question all preconceived notions of “right” and “wrong”. Cops and Robbers has evolved with ambient sound by Reto Peter and light design by Amanda Melton.